The ideal gift for any Ringtons fan! 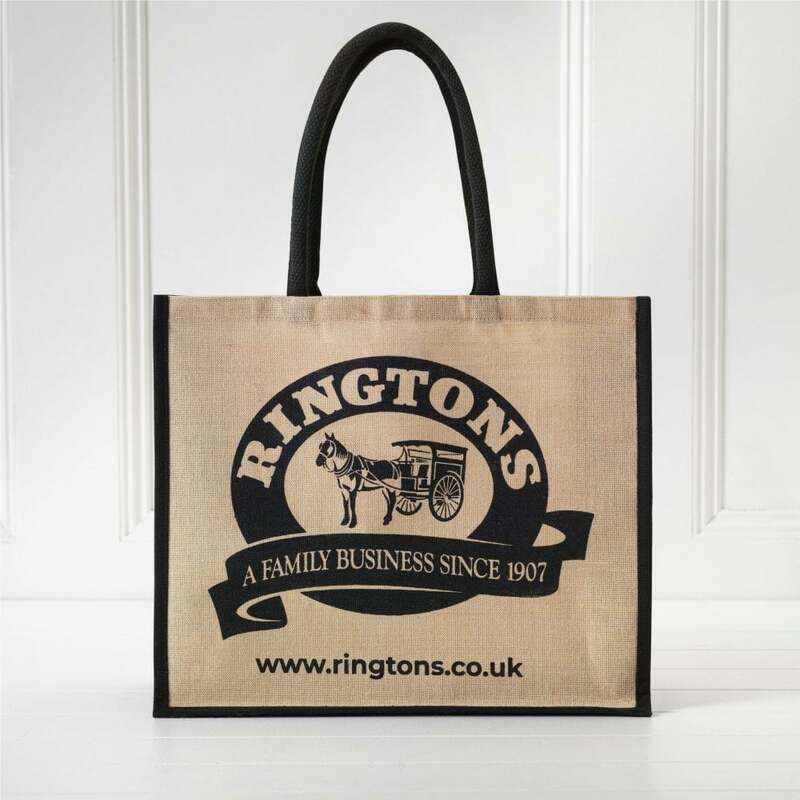 Introducing the new Ringtons Jute Bag, featuring our iconic Horse & Cart logo. Our stylish, reusable bag is hardwearing and durable, whilst also being eco-friendly – the ideal alternative to plastic bags. Made from natural fabric from the jute plant, this is the ideal bag for any environmentally conscious Ringtons fan.